From low bars to more instantly. Boosts 3G for the home and office (7,500 sq ft). Enhances talk, text, and basic 3G internet on ALL phones with ALL carriers indoors. No more dropped calls, lost connections, and slow internet. Perfect for large office, warehouse, stations, and other business. 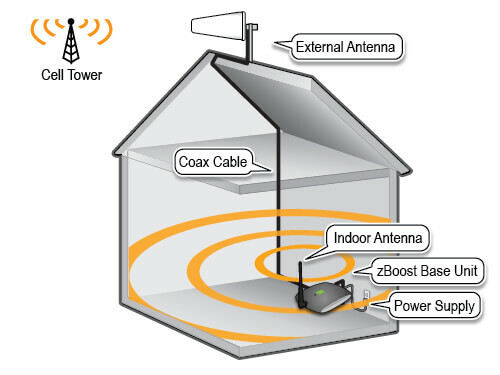 The zBoost ZB560XL Xtreme Reach signal booster amplifies talk & text and 3G for all major carrier networks except WiMax and iDen.